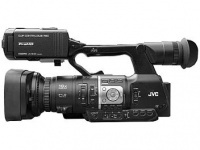 High speed recording of up to 250 FPS. 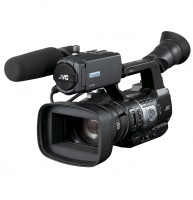 The GY-HM70E is a shoulder-mounted camcorder with a professional appearance and excellent image results in low-light situations, making it ideal for videographers working at weddings and other special events. 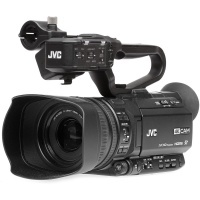 Lightweight, protective soft carry bag for JVC's shoulder mounted ENG/studio cameras the GY-HM750 and GY-HM790.